Chakra Layer Wand is available on Natural Agate. 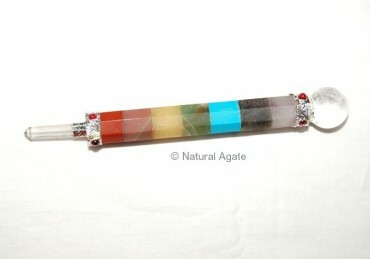 Chakra layer in wand shows the arrangement of body chakras. The wand ensures a continuous flow of positive energy in the body.